Downtown Dough was founded in 1998 by Patrick & Patricia Niles in West Bend, Wisconsin. 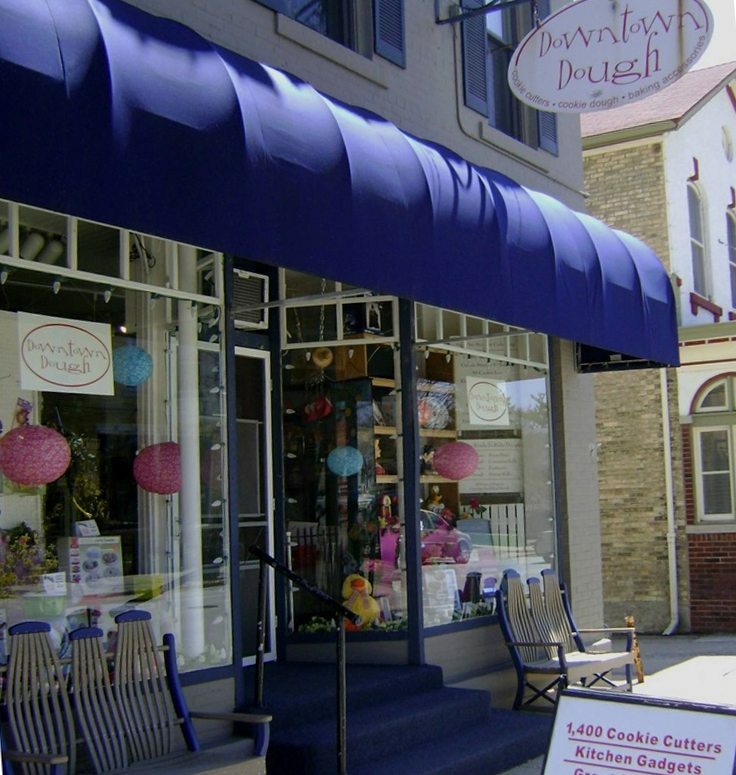 In October of 2000, we moved the business to Historic Downtown Cedarburg, just 20 miles north of Milwaukee (www.cedarburg.org). Together with Patricia’s extensive background in baking and Patrick’s 40 years experience in managing retail stores and their mutual love of baking, the store was an instant hit. We provide a large selection of over 1,600 different cookie cutters, along with cookie stamps, baking molds, decorating sugars, sprinkles, crystals, dragees, pearls, jimmies, non-pareils, stencils, baking supplies, kitchen gadgets, pottery, cookie jars, and many other kitchen related items. In 2002 we were privileged to be featured in the December issue of Good Housekeeping Magazine. We have been fortunate to work with a national food stylist. She has assisted us in having our cookie cutters featured in articles in Good Housekeeping, Redbook, Parents, Womans World and Martha Stewart magazines. We have designed and built custom cutters for many customers including the Cinderella Castle for the Disneyland Anniversary Celebration and the Martha Stewart Wedding Magazine, spring 2010. Watch for new products and other exciting changes in the future at Downtown Dough as we continue to strive to make this the go to place for everything related to cookies and more! The Largest Selection of Cookie Cutters Online and We Can Custom Create ANY Cookie Cutter Design to Send You a Professional Grade Cookie Cutter that Will Last.